If you like spicy and hot then this is the rose for you. The flaming colour is so intense that it is difficult to capture on film. It sure is one of my favourites. Tempi Moderni was bred by our friends the Barni’s in Italy and introduced in 1996 – thus the Italian name which means modern times. 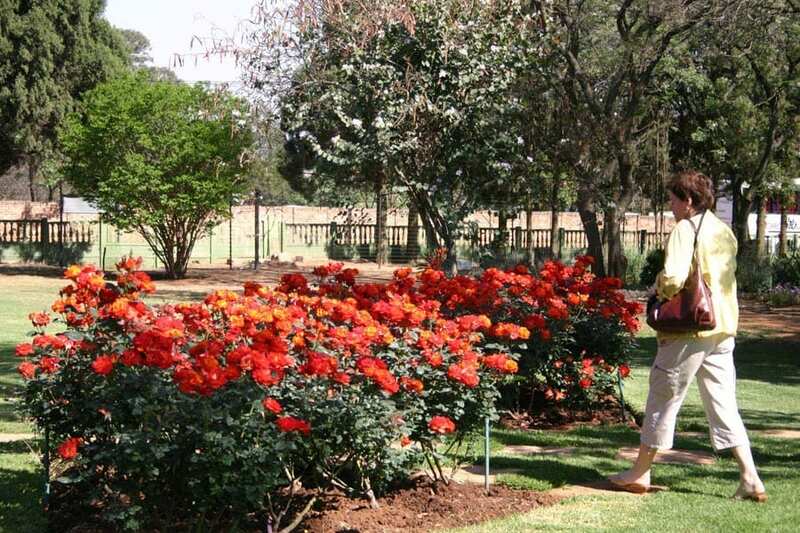 Tempi was awarded the ‘Best Italian Rose’ at the Monza Trials in the same year. 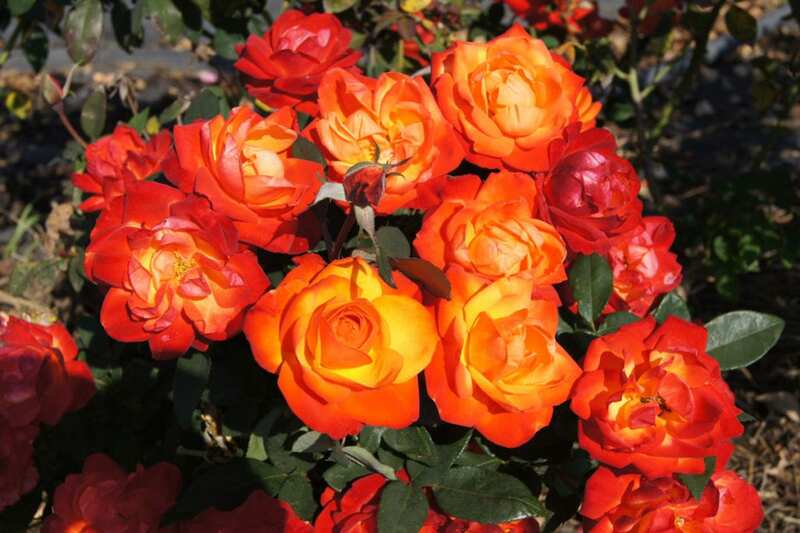 The bud starts out as an emulsion of rich yellow-gold with a burnt vermillion orange that resembles cayenne pepper in colour. The blend concentration varies in these two colour contrasts from bud to bud. 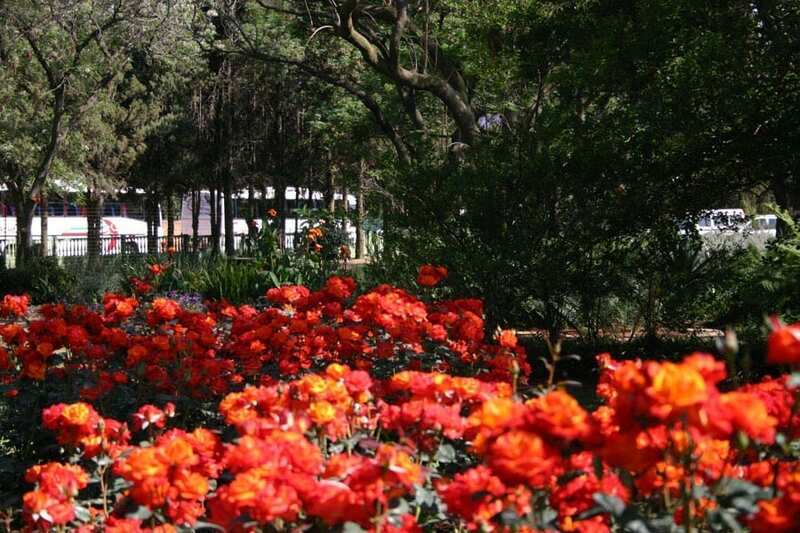 As the bloom evolves and matures it transforms into an intense Sindoor vermillion orange in its fully open stage. 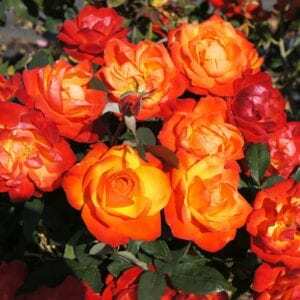 When the centre bud reaches maturity, the side buds of this floribunda start smiling brightly, which makes the bush appear like it is constantly on fire. The buds are tight which makes them suitable for picking. They last very well and eventually open up into a shallow cup. The fully open blooms remain on their stems for a long time and eventually fade in colour but then the petals fall off as the stem cleans itself to make way for new buds and blooms that appear willingly and repeatedly. A charming characteristic is that the vigorous bush remains compact at hip height. 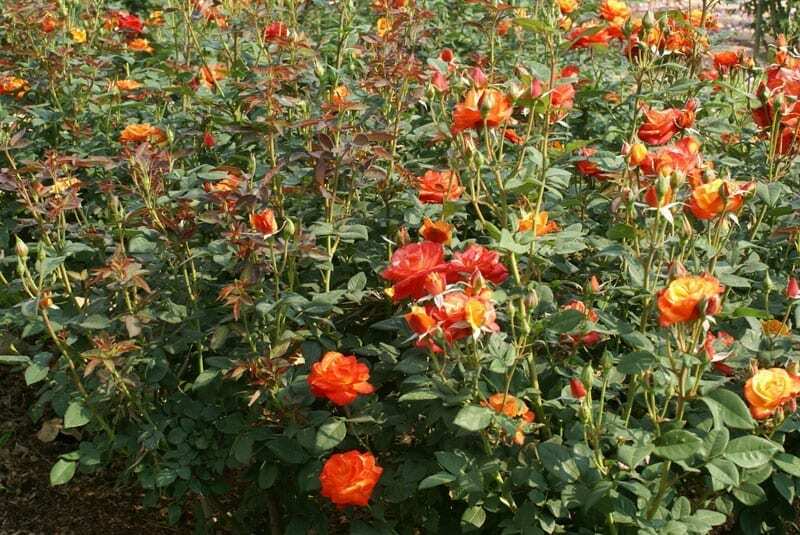 This makes it ideal for planting at the edge of a rose bed in front of taller growing roses of a contrasting or complementary colour. 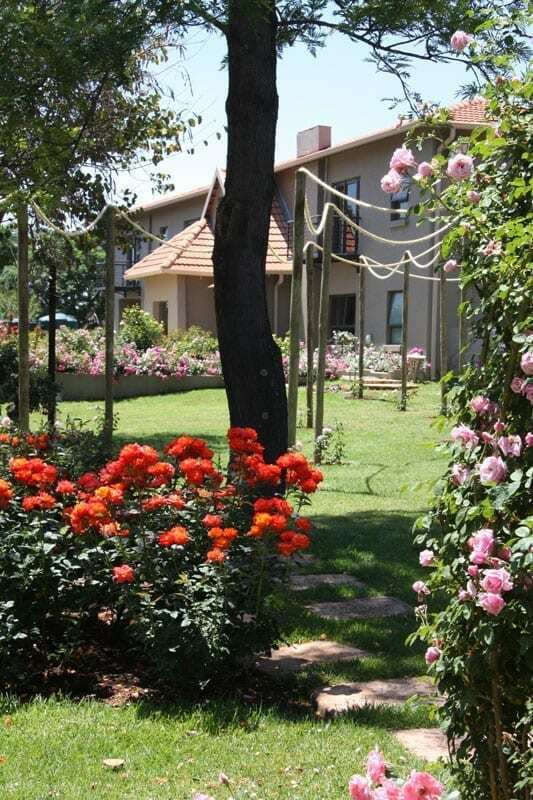 She also grows exceptionally well in a pot and is ideal for providing a show in a container in a sunny spot on a patio or stoep. Most certainly an exciting, free-flowering rose to grow!